The bluebirds have decided to winter here this year. We hear them tapping on the window in my office, see them perched on the branches of a dead tree above our garden, and watch them fly to and from the feeders we have near the house. Technically speaking, these are our neighbors’ bluebirds. They have successfully attracted a brood to their birdhouse. Still, because the bluebirds have evidently decided that our home is within their territory, we have a chance to enjoy them. Last summer, we started offering them mealworms from a feeder hung above the garden fence. They accepted them, but the squirrels quickly caught on, climbed the fence, and helped themselves to the feeder. We moved the feeder closer to the house and out of their reach, and the bluebirds did not mind the change. Bluebirds enjoy a snack at the mealworm feeder. Now that winter is here, we want to be more solicitous of our woodland friends. 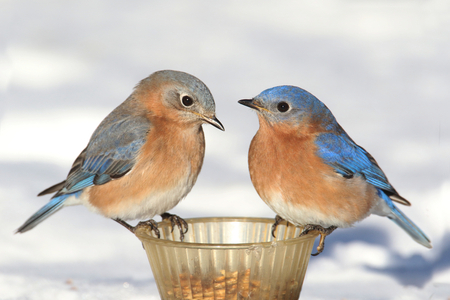 Bluebirds can no longer rely on abundant insects and must forage for berries and other fruit left over from autumn. We also wondering where they stay while wintering. Do they go to the birdhouse where they nest in the spring, or do they find refuge in the cavity of a dead tree? We have counted six bluebirds. Do they all stay together in the same place, huddled like people waiting for a bus in a snowstorm? Apparently so, says my bluebook handbook, and it displays a photograph of eleven of them roosting in one small hole, looking rather like a feathery blue duster. To provide a ready source of winter fruit, we have started to offer raisins and currents to the bluebirds. I plump up the raisins by soaking them in hot water and then put them in a disk attached to the railing below the mealworm feeder. For a week, the birds wouldn’t accept the fruit. However, we have discovered that birds are very conservative and wary of change. It takes time for them to get used to something different in their habitat. Acceptance can happen quickly too. One morning I replenished the mealworms, noticing that the fruit hadn’t been touched. I was certain they had rejected the treat. 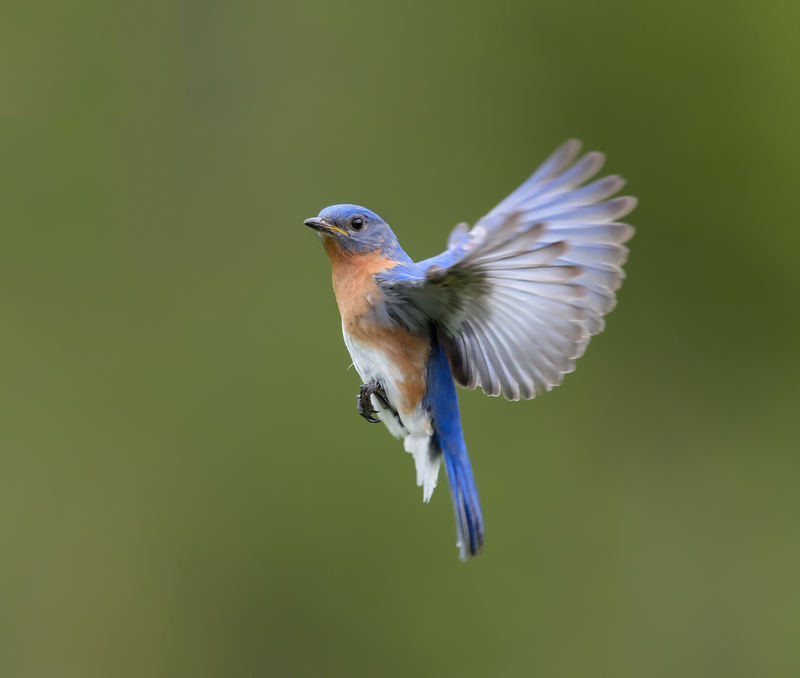 However, later in the afternoon, my husband noticed the male bluebird at the window of the office peering at us as we were watching television. Every so often, the bluebird would fly up and down. Then he would rest on the window sill and just look at us. If he wanted to attract our attention, he had succeeded. We went outside to view the feeders and discovered that every mealworm, raisin, current, and bluebird beef suet nugget had been devoured. He was waiting for us to put out more food. 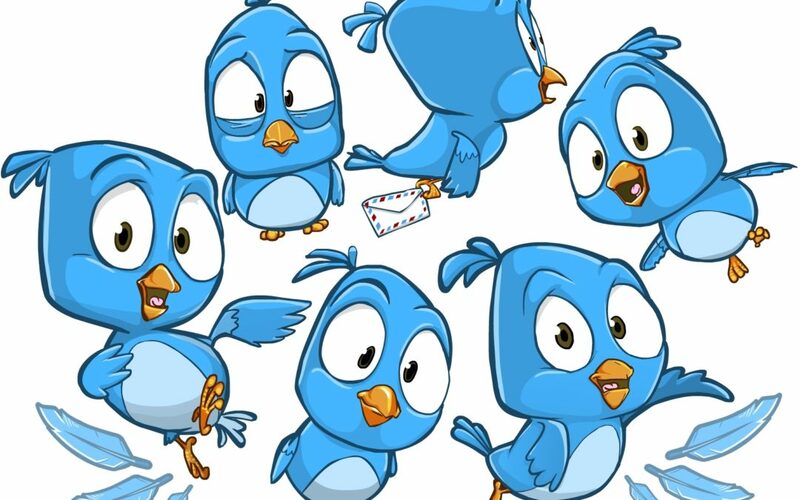 Are the birds exploiting our hospitality? I certainly hope so. Although we pay for the food and then serve it to them on a platter, we are still getting the better of the bargain just being able to enjoy them. Photo attributes: Byskop / Shutterstock, Inc., steve_byland / 123RF Stock Photo, FotoRequest / Shutterstock, Inc.